With the lift of a blue curtain, Jimmy Fallon began a new era in primetime entertainment. 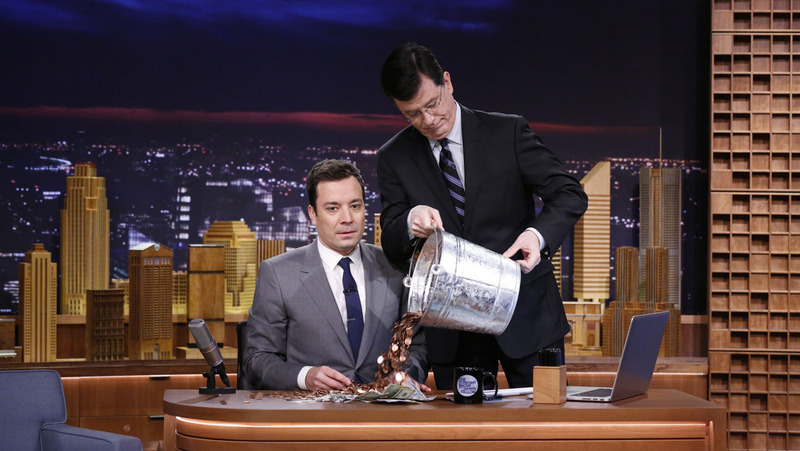 The Tonight Show Starring Jimmy Fallon premiered just several weeks ago. The new host was humble and ecstatic as he took the reins from Jay Leno, the face of the show for the past 22 years. Sidekick and announcer Steve Higgins and house band The Roots followed Jimmy from Late Night, and the Saturday Night Live alum continued to employ his boyish charm throughout the debut. The Tonight Show is back in New York for the first time in over 40 years, and NBC noticeably improved Studio 6B, which Fallon used previously for Late Night. The new digs are gorgeous, mixing neutral blues for the curtain and couch with wooden accents throughout the stage. Fallon’s desk sits against a beautiful carved wood miniature of the New York skyline. The Roots have a larger platform that fits every member on the floor level, where as the Late Night set perched the keyboard players above the rest of the band. The whole set emanates a warm, fresh glow. Fallon entered to rapturous applause, introduced the format of the show, thanked his parents, fans, and Jay Leno, and then ran back behind the curtain to re-enter for a proper monologue. Although it mostly consisted of Olympic jokes – oh, that lovely corporate network influence – Fallon’s monologue was just as sharp and deadpan as it has always been. Clad in a gray suit, the comedian was noticeably subdued throughout the premiere, although later in the week Fallon hit his stride, building on and bettering everything that made his last show great for five solid years. 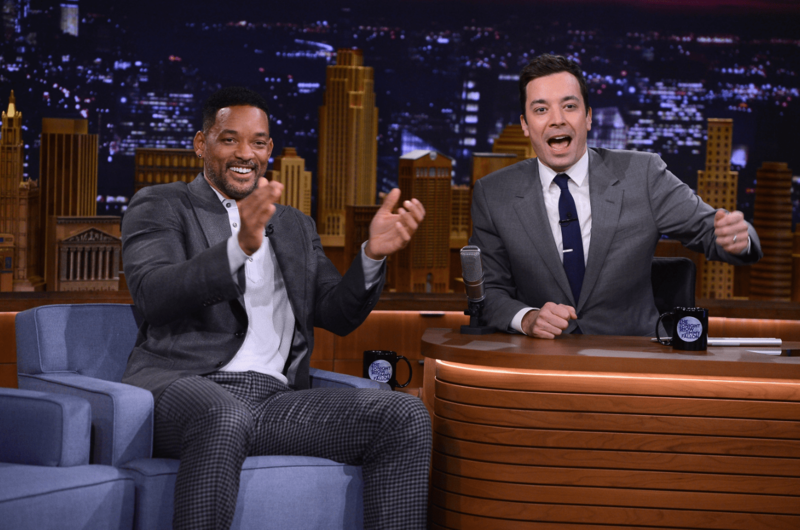 Fallon has made plenty of famous friends, as evidenced by his first week of guests. Will Smith and U2 stopped by for the debut episode. The band, as is par for the course, slightly upstaged the modest host, but Smith gave Fallon some honest, touching words on how to handle the new pressure. Come night No. 2, Fallon was clearly back in the groove. He brought forward bits from his last show and turned in an all around improved, more confident effort. Jerry Seinfeld delivered a great set as the first featured stand-up comedian on the new show. He sat down for an interview, leading inevitably to some more reflection on Fallon taking the reins of the show. The energy never wavered, though. 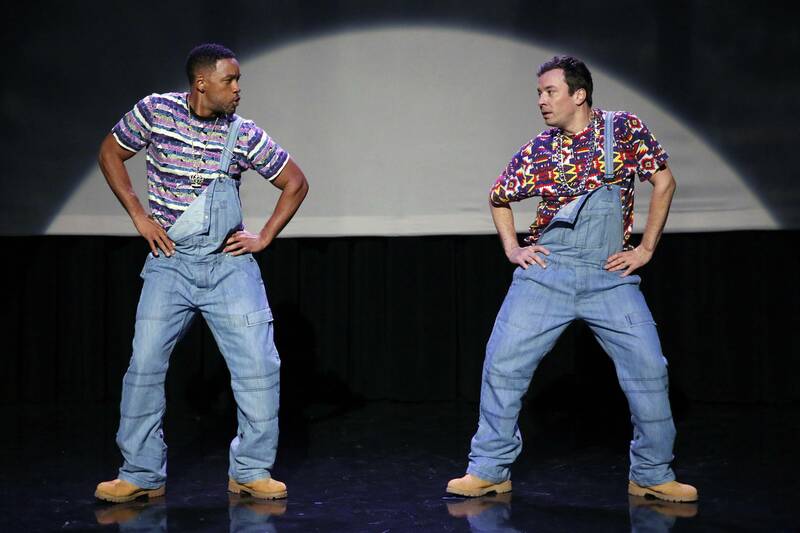 Fallon’s varied musical and comedic sensibilities kept the show looking forward throughout its opening week. He sang R. Kelly’s “Ignition” with his barbershop quartet, The Ragtime Gals. He brought Justin Timberlake back for “History of Rap 5.” He also continued his hilarious Friday night tradition of writing “Thank You” notes. Fallon has demonstrated the talents that made him a solid choice to succeed Leno and that will continue to make him an excellent host behind his new desk. The show will thrive because of his charisma, his humility, and his earnest attitude toward his work. 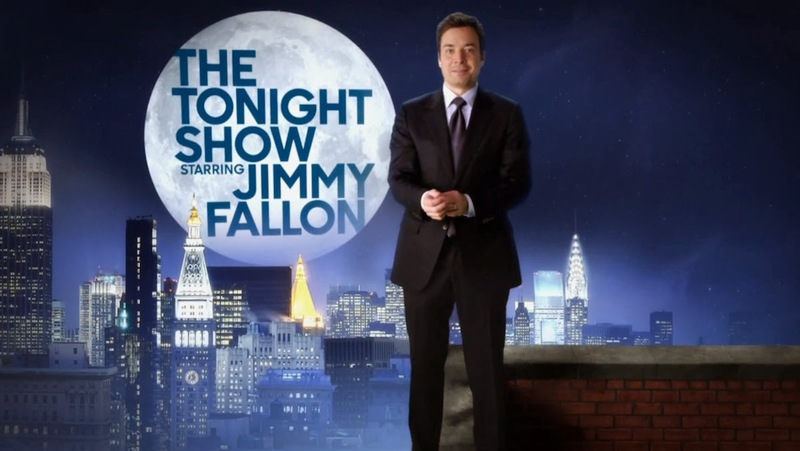 This host is always excited to step out from behind that curtain, and if its premiere week is any indication, The Tonight Show Starring Jimmy Fallon will continue and successfully build on the legacy of late night television. This article was published in its original form in The Massachusetts Daily Collegian on March 5, 2014.